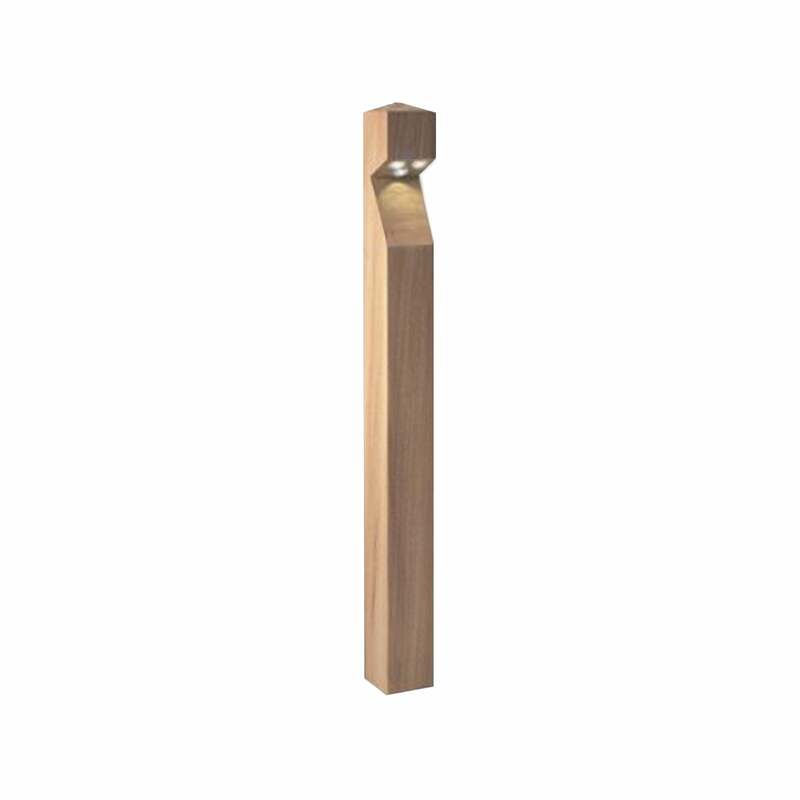 The Bol LED Mains bollard is even easier install when it connects straight to the mains. At just 1m tall, it throws a bright 110 degree pool of low-level light from three wide-angle, high-powered 1W LEDs. Steadfast and reassuring, these path and driveway bollards look great from any angle - even more so as the Iroko weathers to a natural grey or can be treated to retain its natural colour. NB. Contains built in LED lamps which cannot be changed. Wood treatment is necessary prior to installation to prevent weathering and /or cracking. 2700K available on request, 90 day lead time, minimum quantities apply.